One of the newest casino table games popping up in casinos across the country is the "Texas Hold'em Bonus" game. Simply, it pits each player against the dealer in heads-up hands of Texas Hold'em poker. Whoever has the best five-card poker hand at the end, wins. As in Blackjack, you only have to beat the dealer's hand to win, not the other players at the table. If you're familiar with how to play Texas Hold'em, it should be a snap to understand & sit down and play. Here are the basic rules. To start playing, each player puts up an ante wager, and have the option of putting up a bonus jackpot wager as well. Each player and the dealer are dealt two cards, face-down. These are the hole cards. If you want to play your hand, you put down a bet that's exactly twice the amount of your ante. In other words, if your ante bet was $5 and you want to play, you have to put down exactly $10. If you decide not to play and fold, you lose your ante bet. The dealer deals three cards face-up in the center of the table. This is also known as the flop. These three cards are community cards, meaning all players can (and will) use them to make their final five-card hand. Players now have the option to bet again, and can only bet the same amount as the ante (so if the ante was $5, the bet is $5 this time). Or players can check, which means they don't bet. You don't have to bet -- you get to keep playing whether you bet or check. A fourth community card is dealt face-up. This is also known as the turn. Again, players can bet or check. The bet is again the same amount as the ante bet. This is the last opportunity for players to bet. Again, you don't have to place a bet here to keep playing. A fifth and final community card is dealt face-up on the table. This is known as the river. The dealer turns up his/her cards and shows what the best five-card poke hand the house can make, combining the dealer's hole cards and the community cards. Player by player, the dealer will turn over each player's hole cards and determine the best five-card poker hand. To make the best five-card hand each player can use one, two, or none of his hole cards in combination with the five face-up community cards. The dealers are trained to pick out each player's best hand, but you should also be able to tell what your best hand is. Make sure you know what beats what in poker. The dealer determines if the player's hand or the dealer's hand is higher. If the player has the higher hand, he/she wins. The house pays 1-1 on all bets, and in some cases, the ante as well. If the player loses, the house takes all the bets & the ante, too. If players have made bonus jackpot wagers, the dealer checks to see if the player's two hole cards win a bonus. This bet is independent of the five-card poker hand, and may be a winner even if the player's hand is a loser. Usually, if a player has any pair in the hole, that is a winning bonus hand. Other hole card combinations that usually win bonuses are A-K, A-Q, and A-J. Each casino has slightly diffent hands that payout, which should be posted at the table. Don't play this game as you would a regular game of Texas Hold'em. Since you are only playing the dealer, you can play almost any two cards. 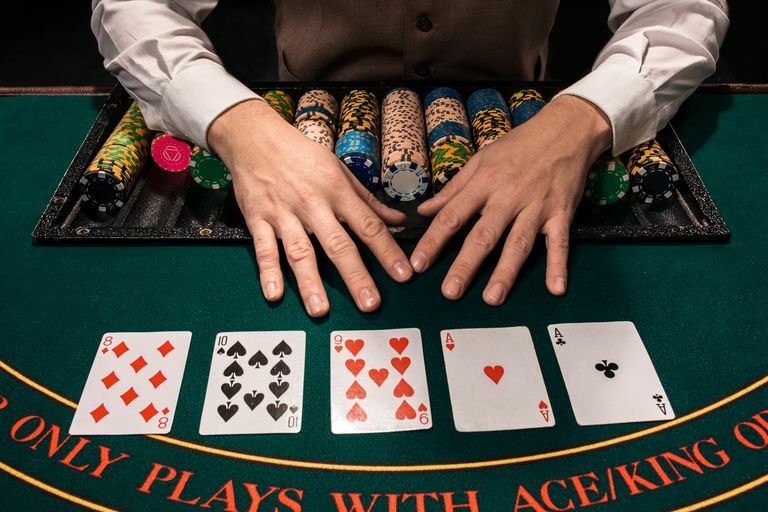 The only hands that you should probably make a habit of folding are unsuited, unconnected low cards both below seven, such as 2-7 or 3-6.